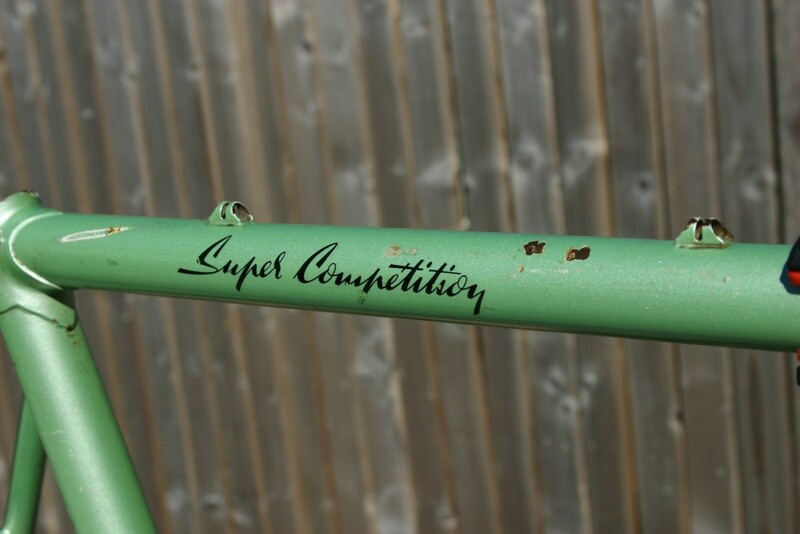 When I saw it on eBay it was going for a reasonable price, the frame looked class, the paintwork and decals looked in good condition for an almost 35 year old bike. I researched the history of Peugeot bikes, liked what I read, and decided to take the plunge. I won the auction (made my bid with 3 seconds to go) and received the bike in double quick time (from somewhere in the UK). 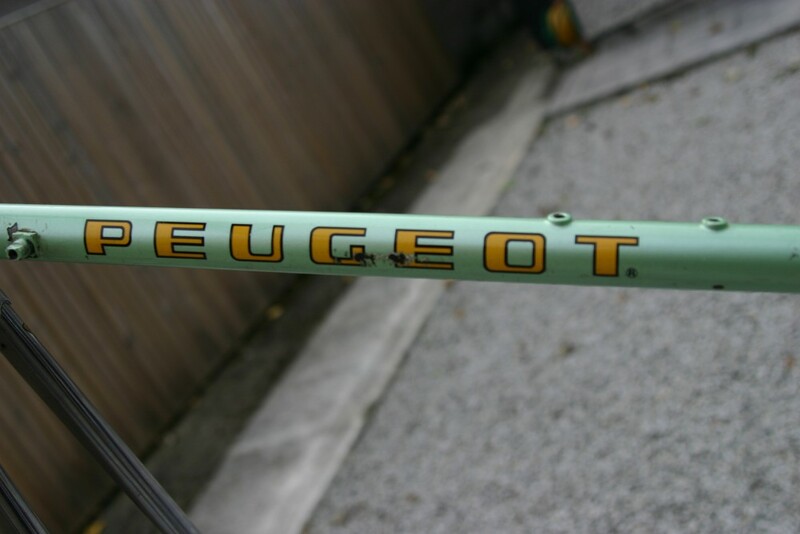 I reckoned I was on a winner, a really classy looking frame in a great colour, a great history to go with Peugeot PX-10/CFX-10s, and a frame that looked to be in good condition - what could go wrong? While waiting to bid on eBay, and afterwards while waiting for delivery, I continued to research French bikes, Peugeots, PX-10s, and CFX-10s. 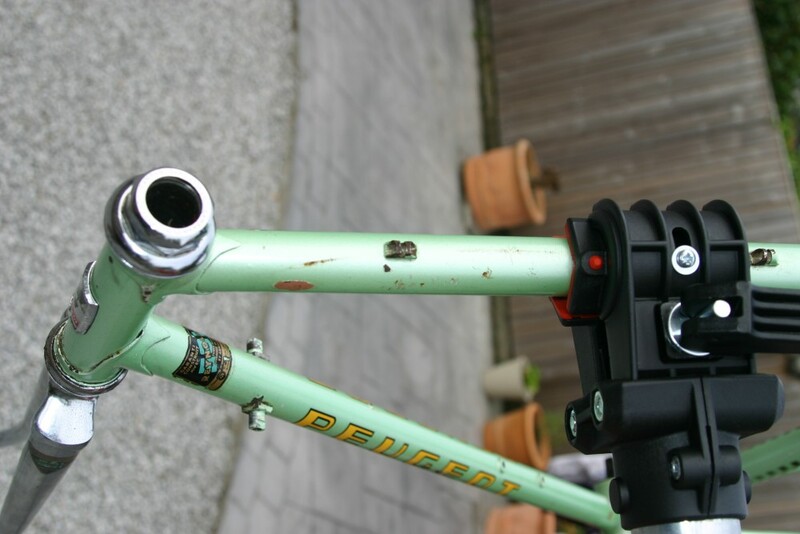 I was already aware of the different standards of frame and component fittings that existed in the 1980s - in a vague sort of a way, so I knew I was jumping into something. 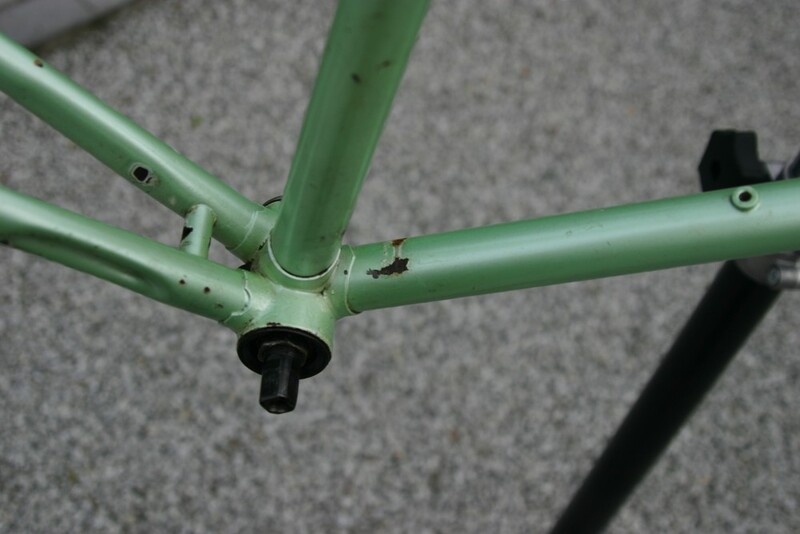 After all the most common advice about restoring an old bike after "Don't pick a quality frame for the first time project" was "Don't pick a French bike". The French standards are now obsolete (with parts hard to find) and their bikes in the early 80s were built often in transition between French standards and others - most notably Swiss standards (now more obsolete than French) and British (which was to emerge as the dominant standard). 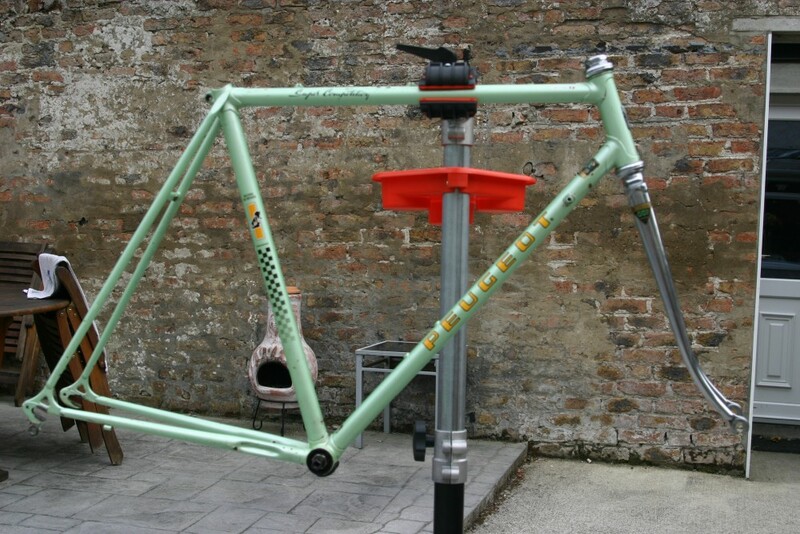 With the result that a particular model of bike could have a different standard for fitting components to its identical model built one year earlier or later. So any catalogue or assertion found online was not really all that authorative. The rear gear mechanism (rear mech or rear derailleur). 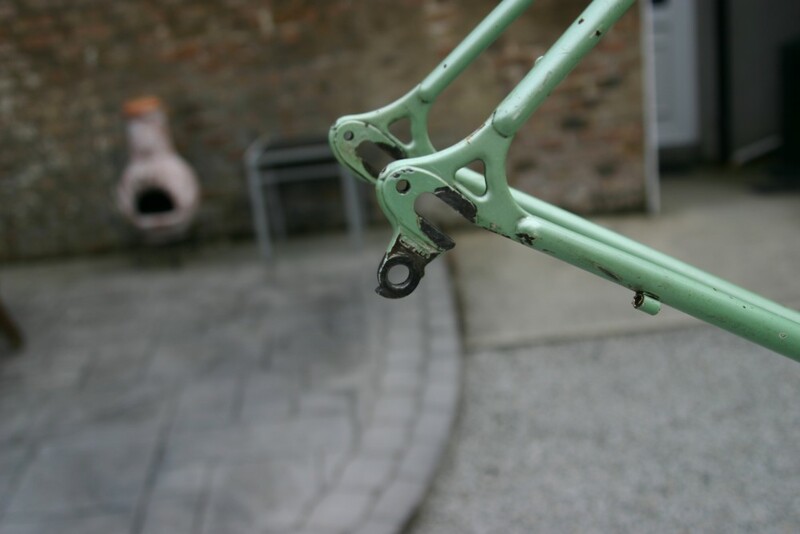 The hanger for this is part of the frame and it could either be the obsolete French/Simplex standard, or the Campagnolo (Italian) standard which was emerging in the 70s/80s and became the dominant standard. Very fine differences but the frame could be filed if it was French standard to make it fit the now dominant standard. 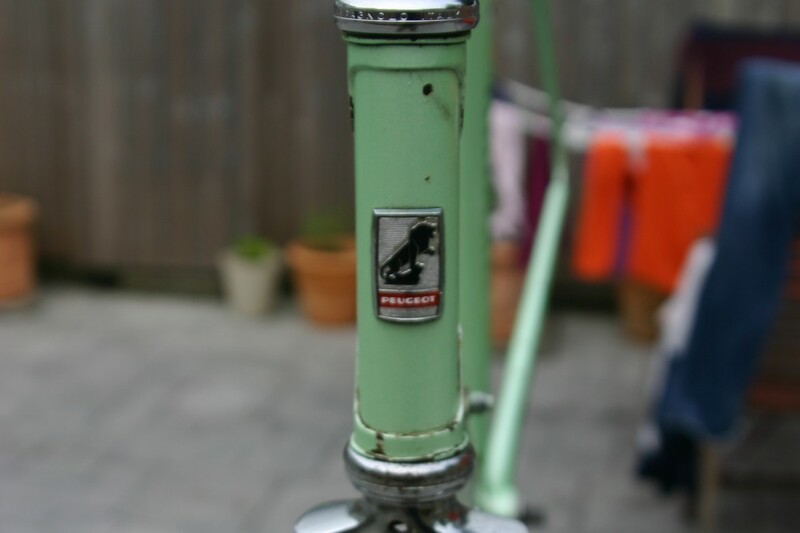 The headset/steerer tube/handlebar stem. The French standard was for 22.0mm wide (with metric French threads) whereas everyone else used 22.2mm and British threads. 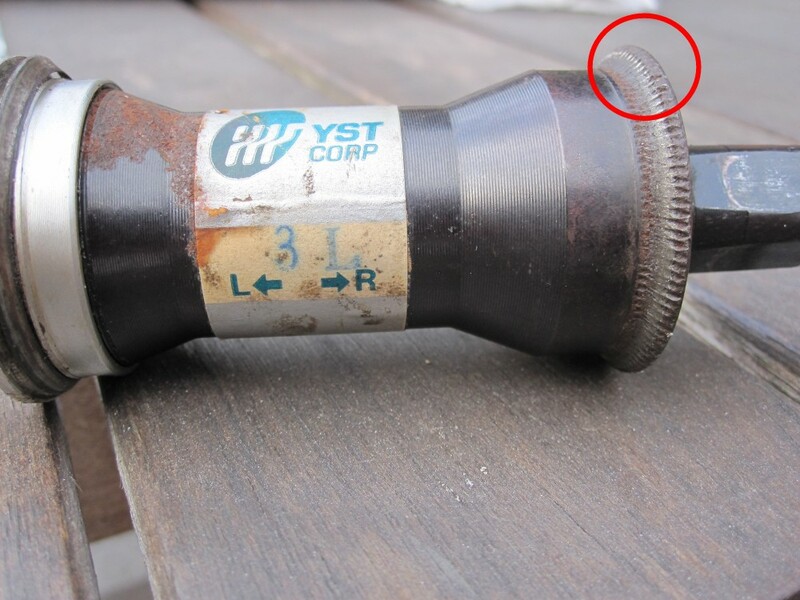 However the frame was described as having a headset in good condition and it was supposed to be easy to sand down a 22.2mm stem to fit the 22.0mm if required. 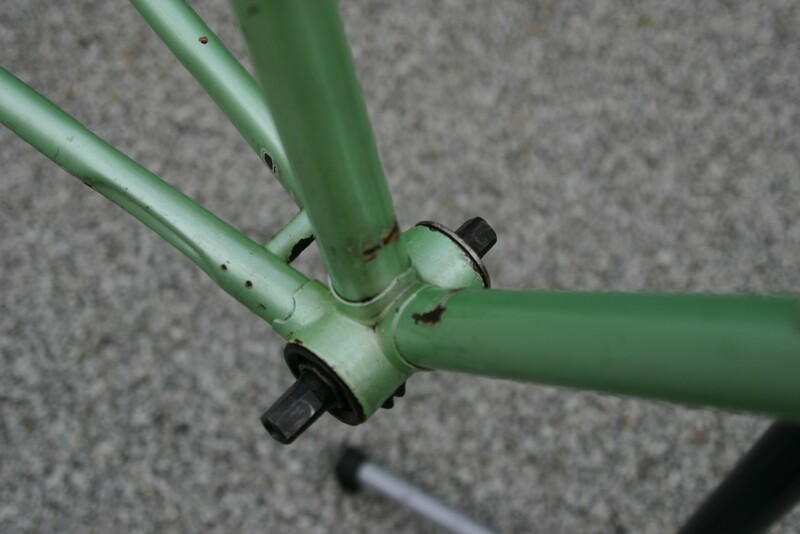 The bottom bracket shell (threads really) could be French, British, Italian or Swiss threaded. Only the British and Italian still exist today (they became the standard). Some French BBs were becoming available again but no Swiss. So this one was a "biggie" and would dictate the manner in which I could build the bike. My frame was most likely going to have French or Swiss threads (with an outside chance of British which would have been ideal). 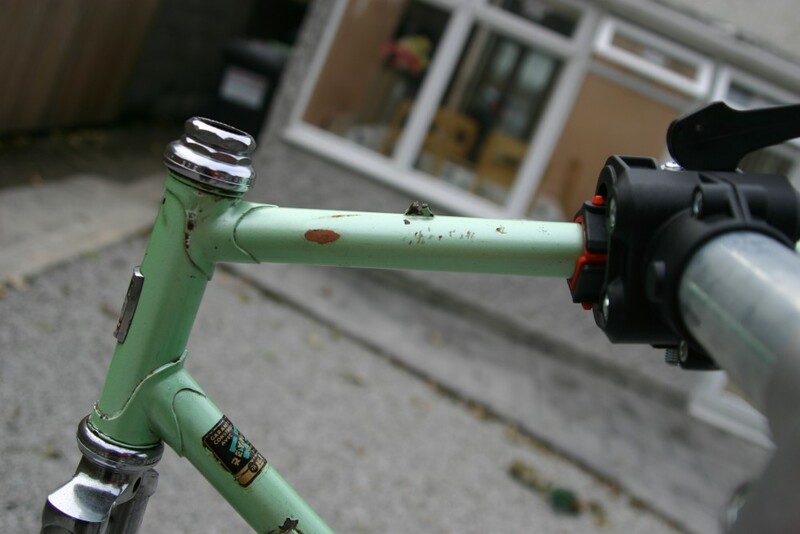 In any event, there were workarounds even so far as threadless BBs intended for damaged bottom bracket shells. 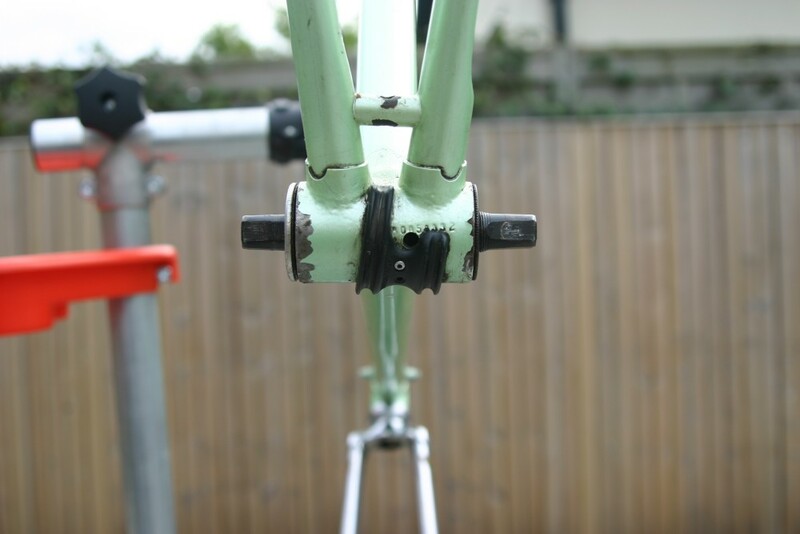 Or, perhaps having a bottom bracket shell re-threaded to a British or Italian standard. 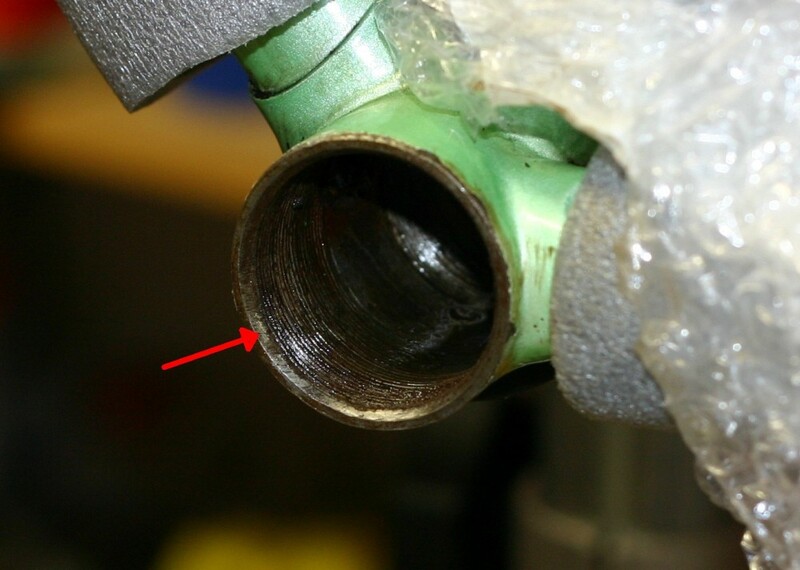 *The Bottom Bracket (or BB) Shell is the part of the frame (at the bottom of the seat tube and the down tube) between the pedal cranks and holds the BB, the bearing for the chainset. 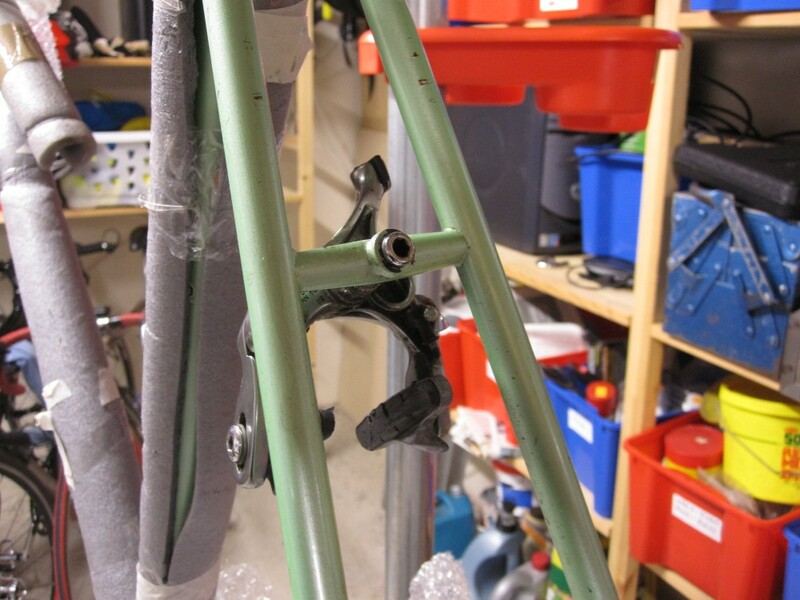 This area of a bike is subject to a lot of stress and "twisting" forces. 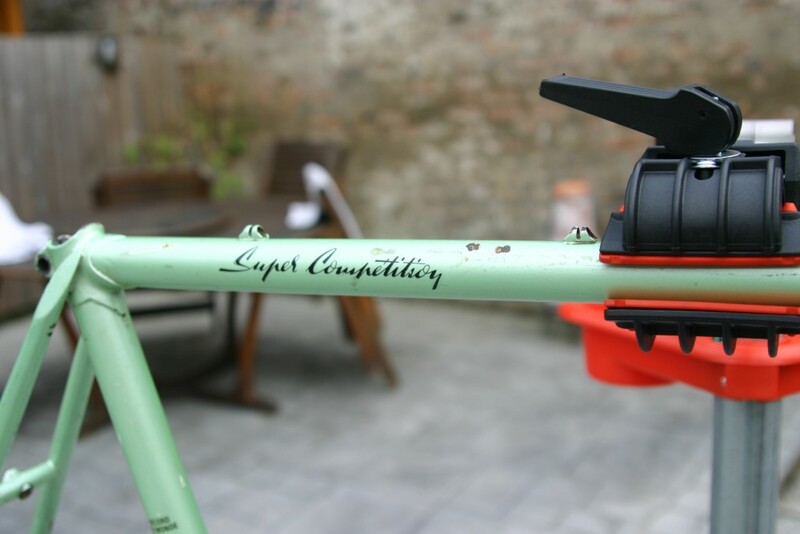 The rear mech/derailleur hanger was of the Campagnolo/Shimano standard (not the obsolete French/Simplex one). That was a win for me and kept most options open. 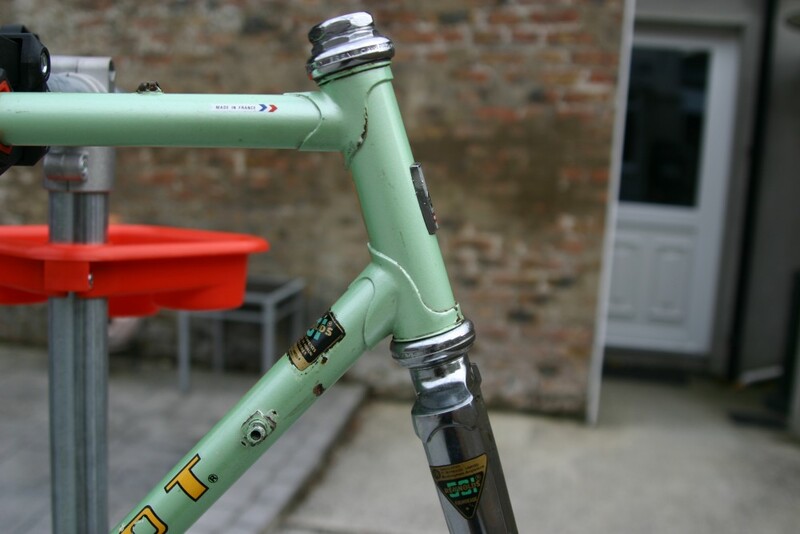 The headset/stem standard was French (22.0mm). That was not what I really wanted but sanding down a stem to fit was not supposed to be a big task. So, I was happy with that. 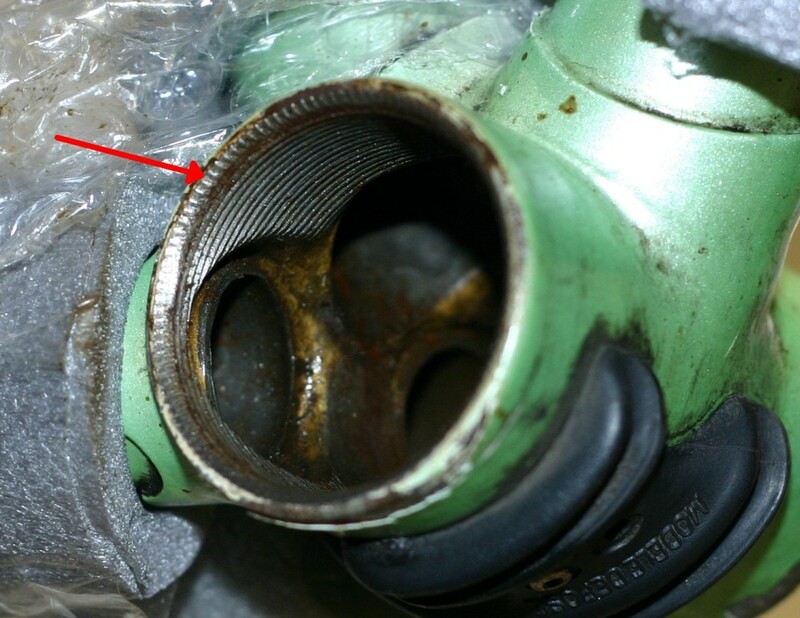 The bottom bracket was easily removed to inspect the threads, and this was my surprise - French threads (as mostly expected) but they were damaged. Apparently a previous owner had decided to fit a threadless bottom bracket (probably because he could not get a French one) and had the edge of the BB shell machined ("camfered" I believe) at a 45 degree angle, which stripped off the first two or three threads from either side (and also left the next remaining thread a bit damaged). 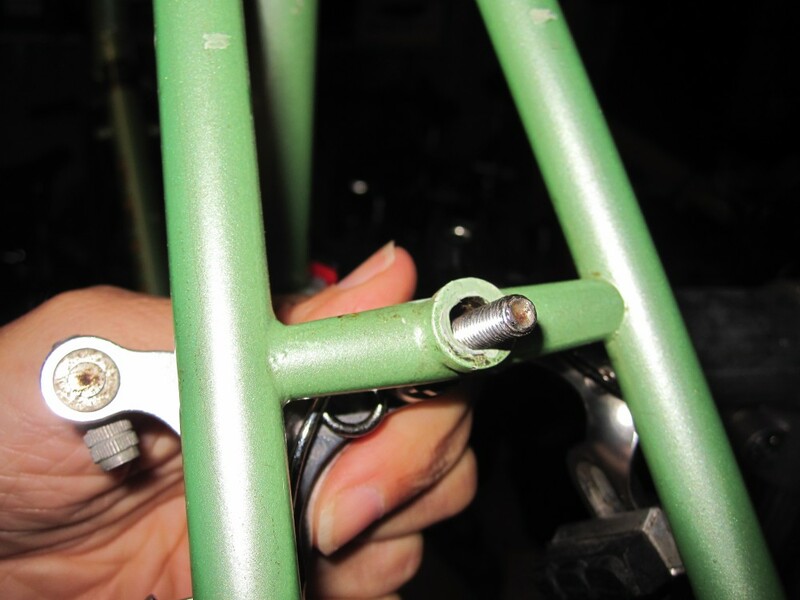 This would present problems - but there were options : fix the next remaining thread and fit a French threaded BB; fit a threadless BB; have the BB Shell rethreaded with Italian threads; reline the BB Shell with brass and have it rethreaded with British threads. These were all, to varying degrees feasible and they provided me with options. Also, it appeared that a previous owner (same owner?) had also drilled out the rear brake calliper mounting point to accommodate a more modern brake calliper (one that used a concealed Allen Key fitting rather than a nut). This meant that he fitted the calliper in reverse. I got the feeling that a previous owner was a bit too happy with a drill. I would have to work around this - I didn't want a brake fitted in reverse (an ugly solution if ever there was one).